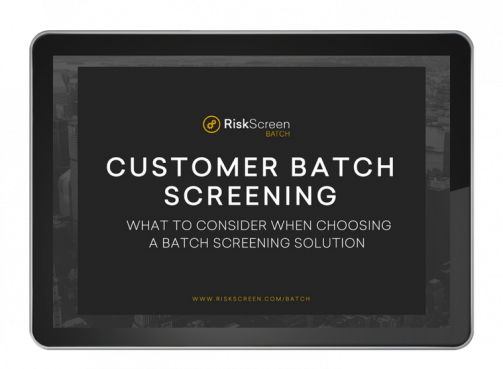 In this e-book RiskScreen defines batch screening for ongoing customer risk monitoring and explores the common frustrations (and AML failures) organisations experience when using legacy batch screening technologies. It also presents how RiskScreen Batch has been designed by regulatory experts, to overcome all of these challenges. The book is illustrated with case studies and deep dives into some of RiskScreen Batch's unique features which help optimise your AML compliance time & resource.